On to week six where it’s all about British and Irish fabrics! In this sixth episode there are five contestants remaining after we said goodbye to Mercedes last week. 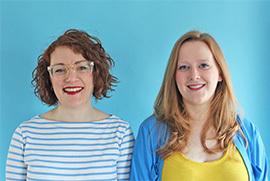 This episode has been all about British and Irish fabrics with the first challenge testing the quarter-finalists tailoring skills to make a linen worker’s jacket. In the upcycling challenge, seaside stripy deckchairs and parasols were transformed into outfits before the made-to-measure challenge where the contestants made a coat. Take a look at our sewing pattern suggestions below so that you can recreate these looks at home for your handmade wardrobe. 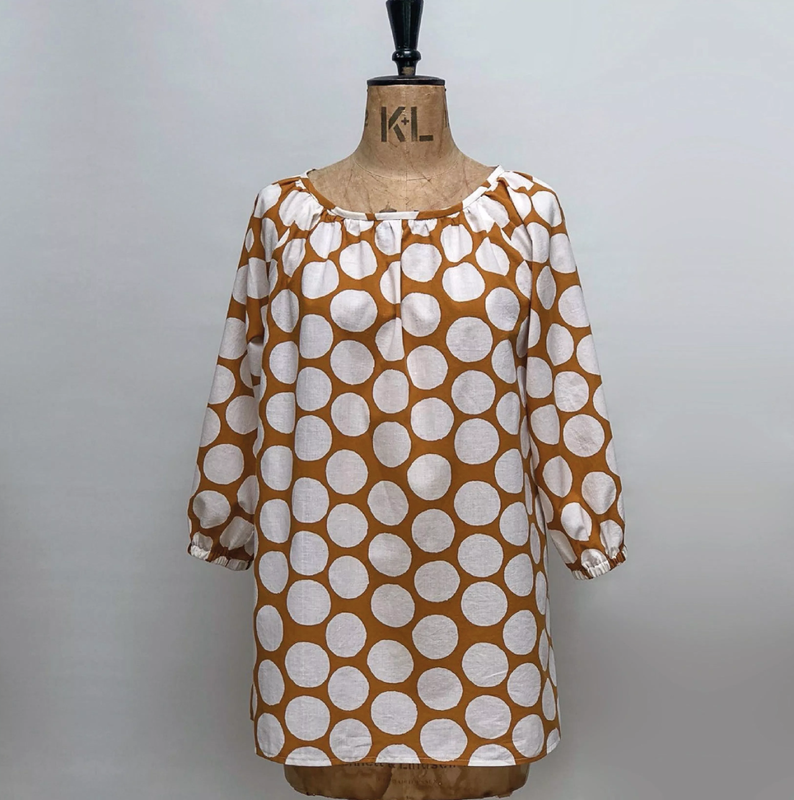 Kate also talks through her favourite pattern options from the episode on YouTube. The first challenge involved contestants creating a worker’s jacket using linen. The sewers had their tailoring skills tested using one of Patrick’s own patterns. The Jasika Blazer is a classic tailored jacket with a semi-fitted shape that will never go out of style. With just the right amount of polish and detail, Jasika is a wardrobe workhorse and a mighty skill builder. 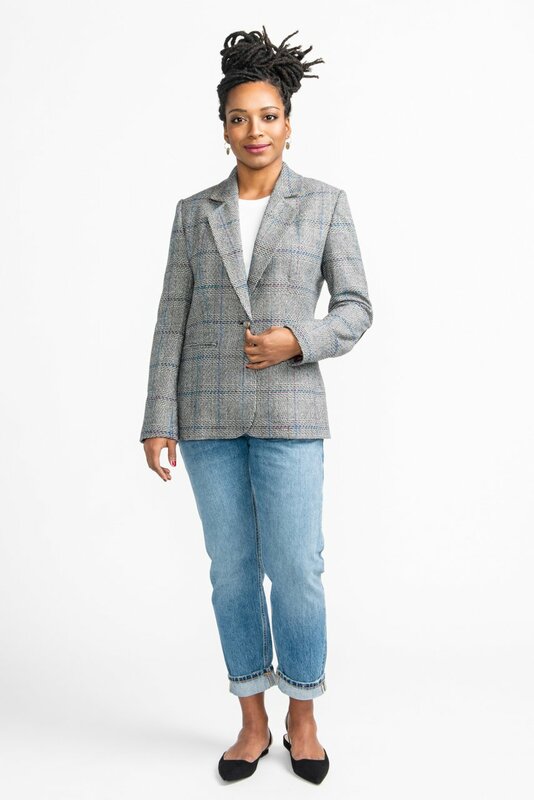 The instructions use modern speed tailoring methods, fusible interfacings and minimal hand sewing to make tailoring fun and accessible for everyone; make a blazer you’ll want to wear forever! Sizing: 0 – 20. Available in the shop: Yes, paper. Sizing: 36 -46. Available in the shop: No, this pattern is out of print but may still be available from other sewing shops. In the upcycling challenge contestants used stripy deck chair and parasol fabrics long associated with the British seaside holiday. A range of sewing patterns were used for this task, so we will make some suggestions based on these below. The Three pleat skirt has a pleated front and a plain back which gives a flattering fit. It features right side pocket and left side zipper opening. 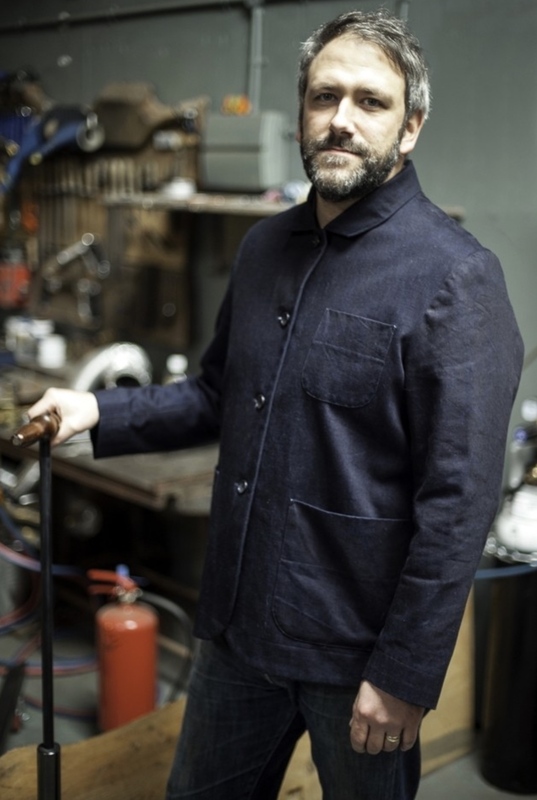 Make in mid to heavy weight fabrics such as denim, cotton twill or lightweight canvas. Sizing: XS-L, approx. UK size 8-20. Available in the shop: Yes, paper. 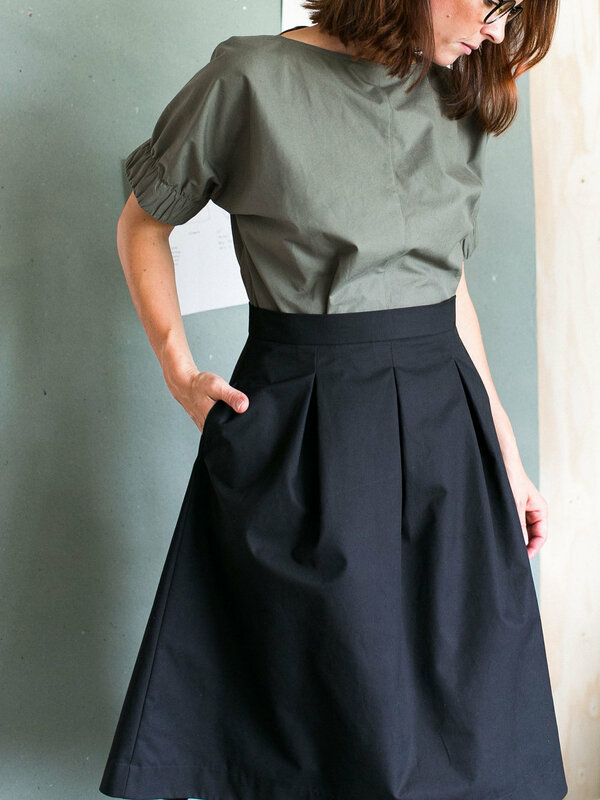 This pleated skirt from Burda has a waist band and pleats that run around your body. The pleat underlay pieces are stitched on separately to let you play with colours and fabrics. Sew using lightweight wools or wool blends. Sizing: 8 – 20. Available in the shop: No. A generous and loose fitting top with ¾ length sleeves, two pretty and practical patch pockets and three neckline options. This is the perfect top or dress for someone who wants a garment with a relaxed fit and it comes with loads of options to make it your own. Version A opens at the centre front whereas version B has a side neck opening. Version c has a bound neckline without an opening. Sew in a light to medium weight cotton such as denim, chambray, linen or cotton lawn. Sizing: S-XL, approx. UK 8-18.. Available in the shop: Yes, paper and PDF. Centaurée is a sundress with double straps and a geometric panelled bodice, which would give you a similar effect to Janet’s star dress in the upcycling challenge. Version A sits above the knee and version B has a high-low hem. Sew using batiste, cotton satin or viscose for some drape. 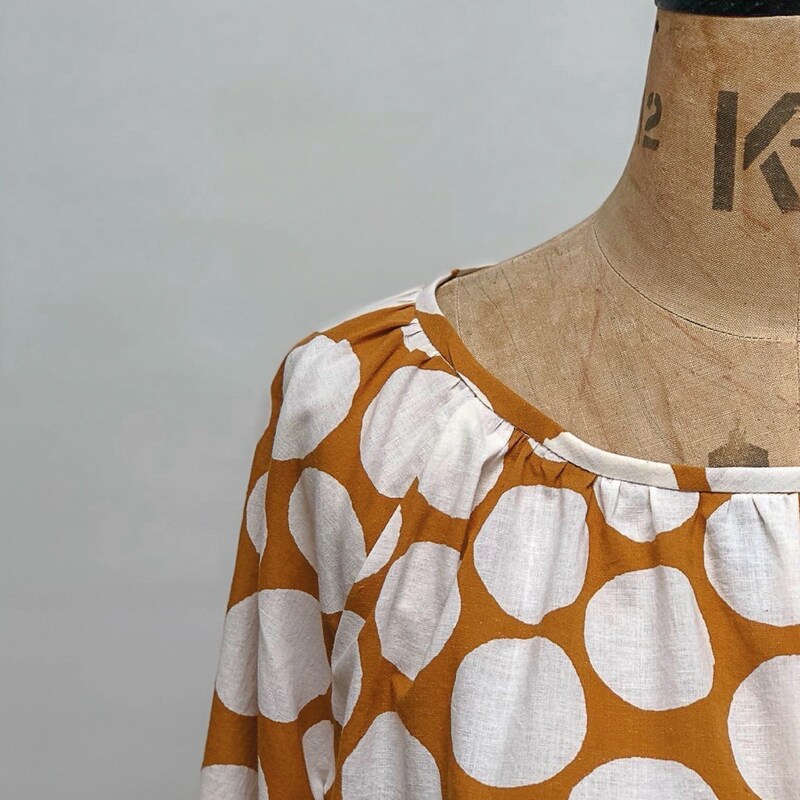 The McCalls M7784 top pattern is perfect for a beginner dressmaker. The fitted pullover top has shoulder straps and an off the shoulder neckline with sleeve variations. It also includes separate pattern pieces for A/B, C, and D cup sizes. 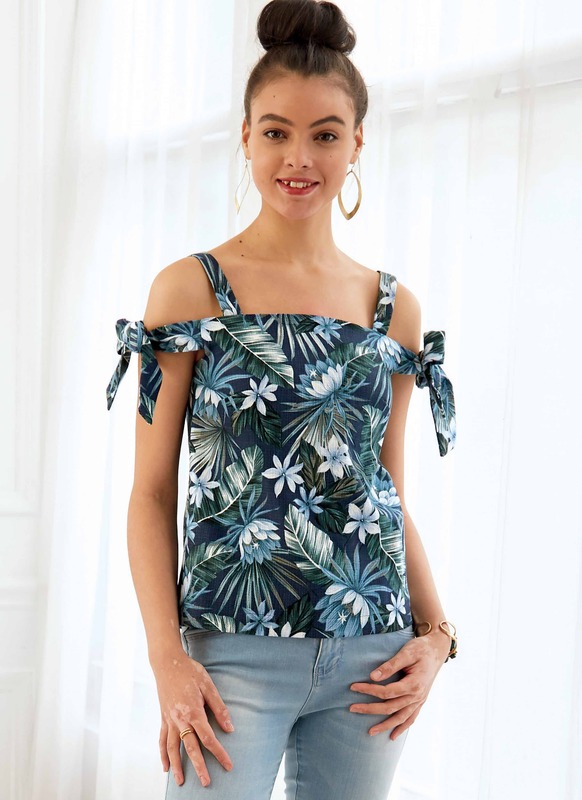 Make without the off the shoulder ties to recreate Riccardo’s top. Sew in cotton blends, linen or seersucker. 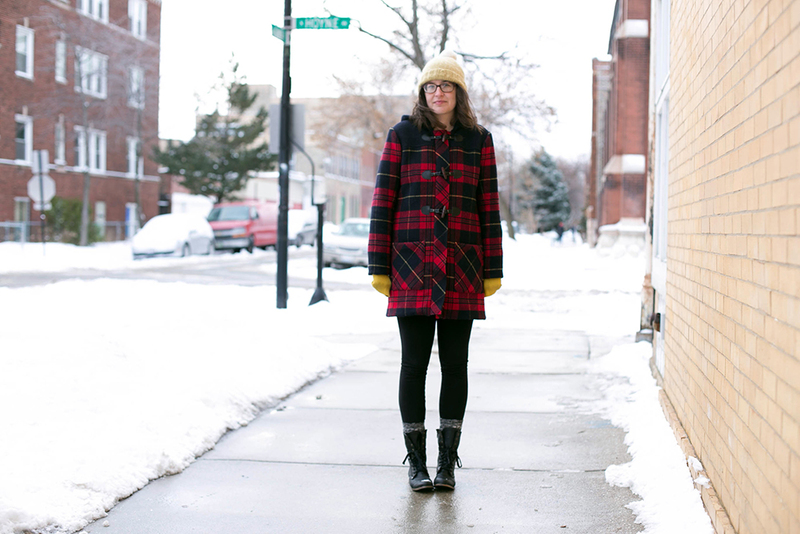 The contestants used a range of patterns to create a coat for their real life models. The garments were all made using British wools. Leah used a misses’ vintage 1960’s dress pattern that featured a contrast neck band. The pattern also includes an optional belt and pockets. Sizing: Approx. 6 – 22. Available in the shop: Out of print, may still be available on third party reseller sites. 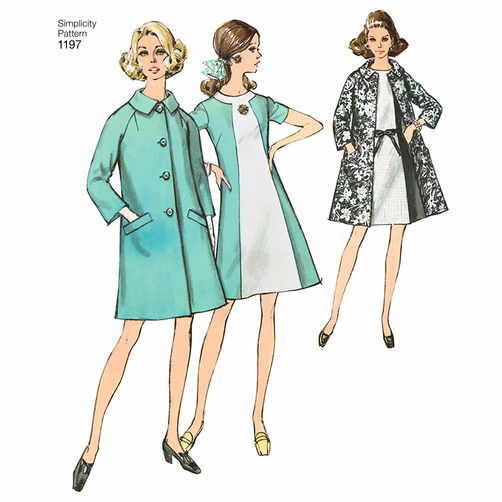 This is a Very Easy Vogue® pattern with loose-fitting, unlined jacket plus shoulder pads and topstitched hems. It also comes with the option of an upright collar and lapel in version A. It also has side pockets in version A and B and fold-back facings in versions B and C. This could be a great first coat to try if you are looking for a new challenge and haven’t made a coat before. Sizing: XS – XXL. Available in the shop: No. Sizing: vintage 10 – 18. Available in the shop: Out of print, but may be available on third party reseller sites. 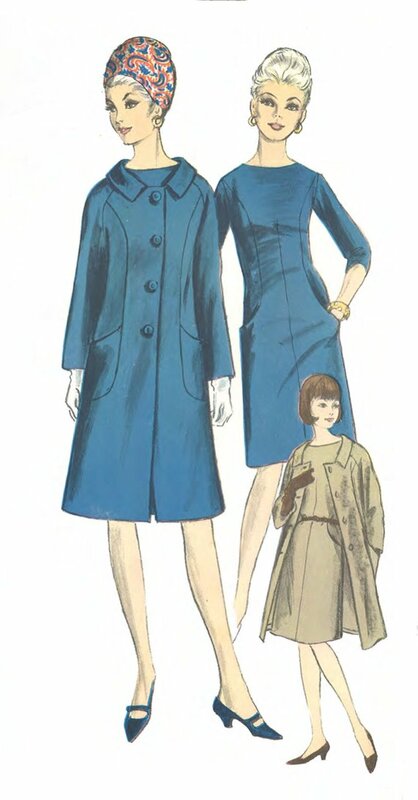 The closest pattern we could find for Jen’s made-to-measure garment was this vintage 1960s coat. The princess shaped coat has curved patch pockets and shaped collar set away from the neckline with raglan sleeves. Sizing: Vintage 12 – 24. Available in the shop: Out of print, may still be available on third party reselling sites. 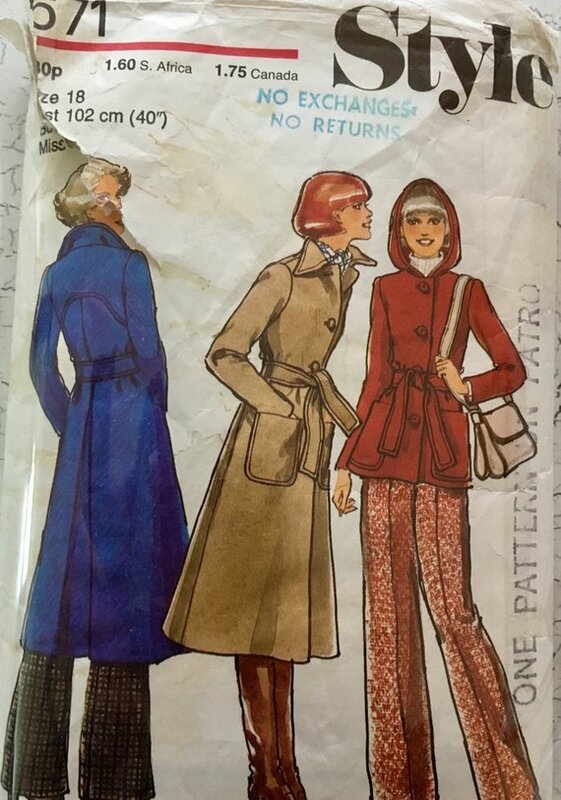 Janet used this coat pattern designed by Marcy Tilton to showcase her London landmarks. 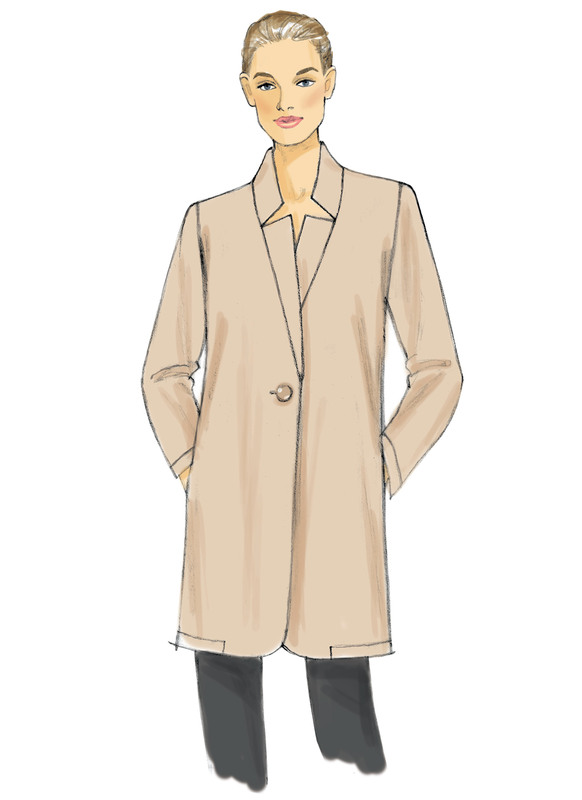 It is a loose-fitting coat with stand-up collar, side pockets, hemline darts and front button closing. Version A is unlined with a front band, patch variations and stitched hems. Version B is lined with a fly front closing. Sizing: 4 – 26. Available in the shop: Out of print, may still be available on third party reselling sites. 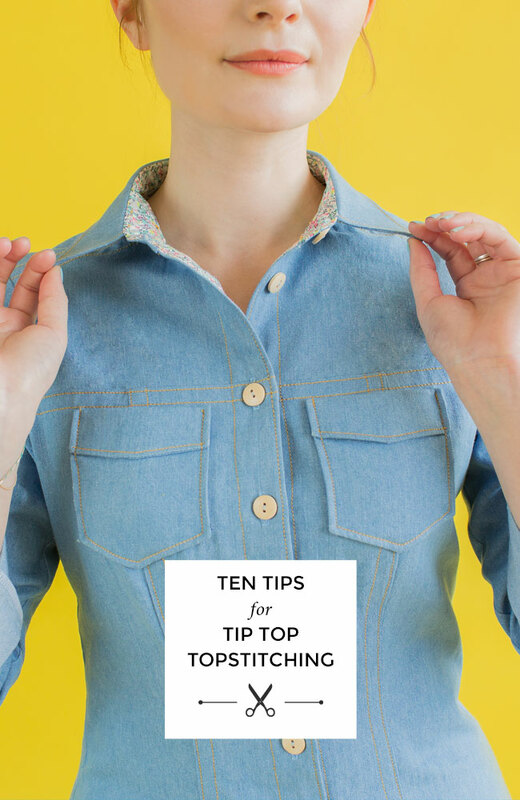 Tilly and the Buttons share their ten tips for topstitching. 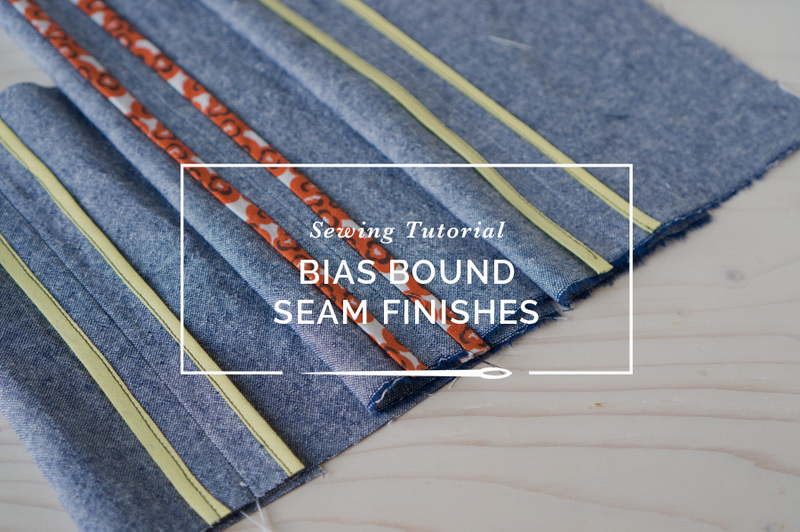 Heather at Closet Case Files shares a tutorial on creating Hong Kong bound seams. 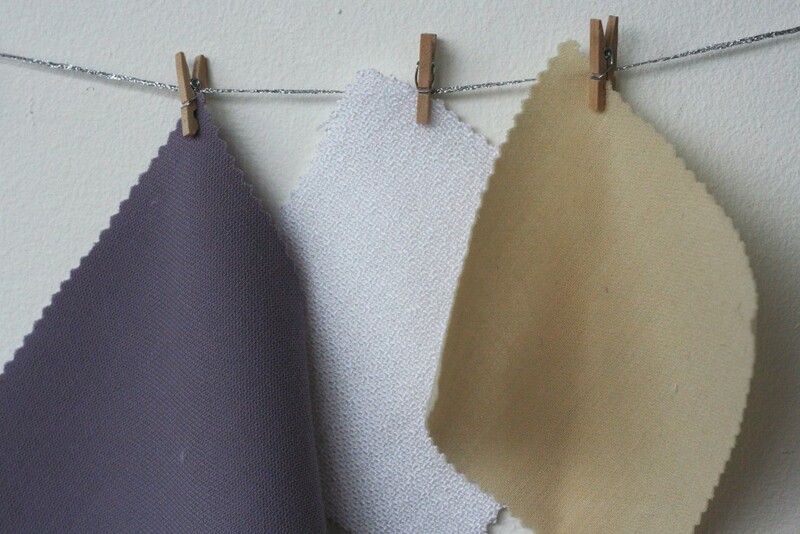 Colette share the different wool fabric types you can sew with. 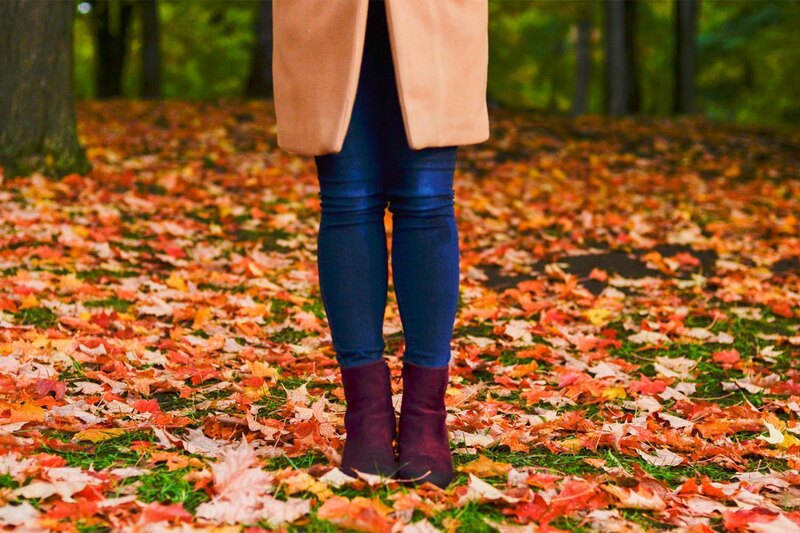 Previously on the blog we have shared our top 10 coats to sew for Winter. 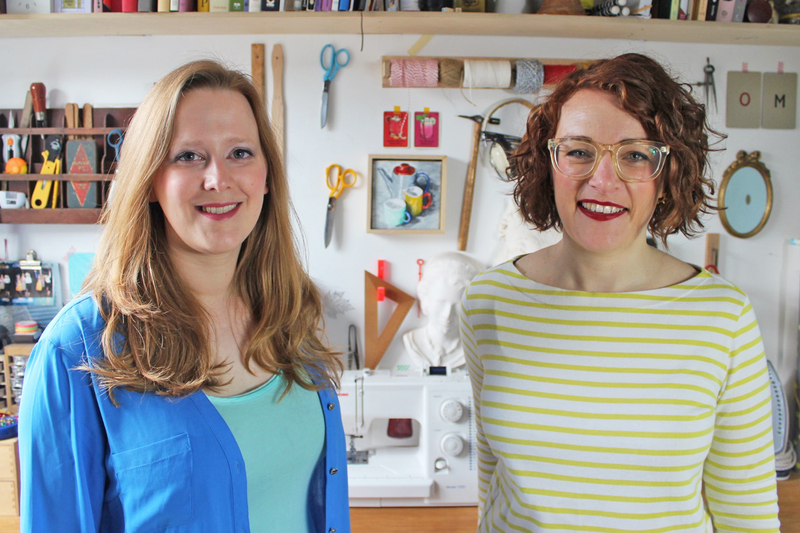 Tips for sewing with wool fabrics from Grainline.